A stock rocket called 10 Kilotons to LKO. Built with 2088 of the finest parts, its root part is Size3LargeTank. The first stage seperation destroys some of the Rhinos in the second stage, the rocket still reaches orbit however, so don’t freak out. 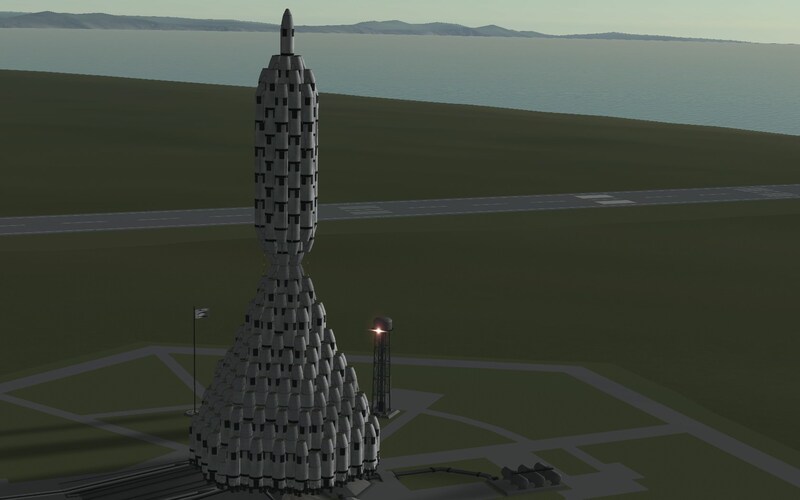 This is a stock ultra heavy lifting two stage launch vehicle which can carry 10000 tons into LKO, all of this is accomplished with absolutely no autostrutting. 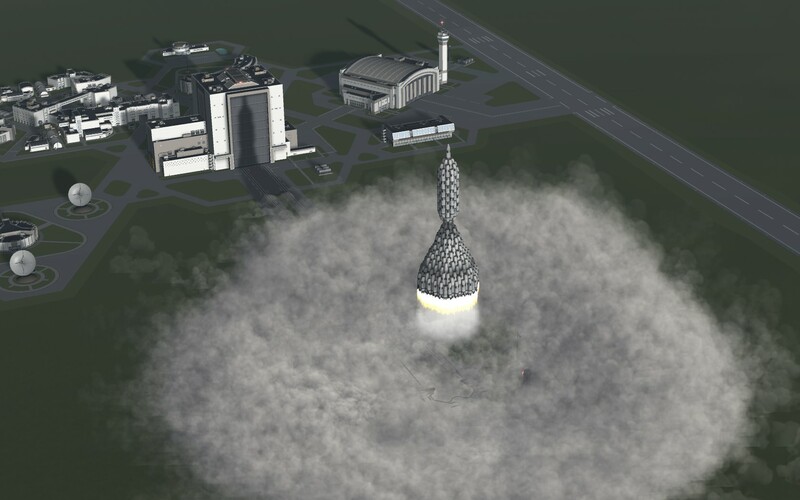 This rocket was largely inspired by He_162’s own heavy lifting exploits, a prime example of which you can check out here https://kerbalx.com/He_162/He3000-ton-lifter . 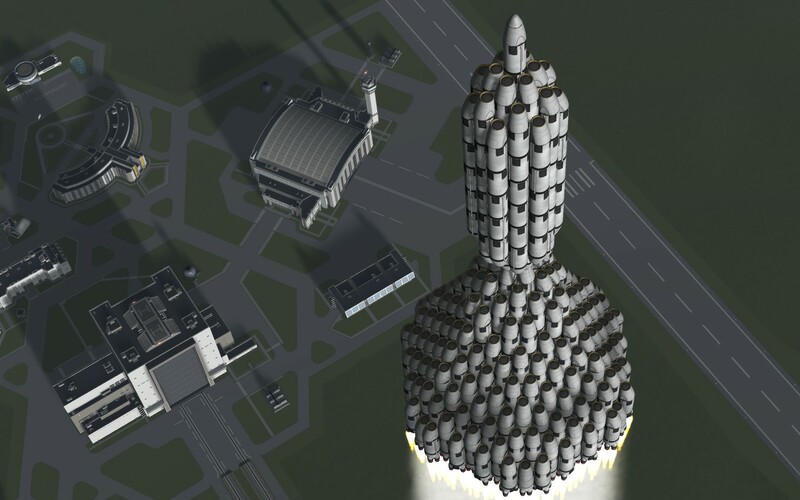 This rocket is by far the largest and most complex craft I have ever made. Made more so for looks than efficiency. -This craft just barely has enough Delta-V to make orbit, so maximizing the efficiency of the launch profile is key to a successful mission. -The craft should point prograde throughout most of the early flight, as such a gravity turn must be used, an optimum gravity turn will have the craft reach 45 degrees at 500-550 m/s. 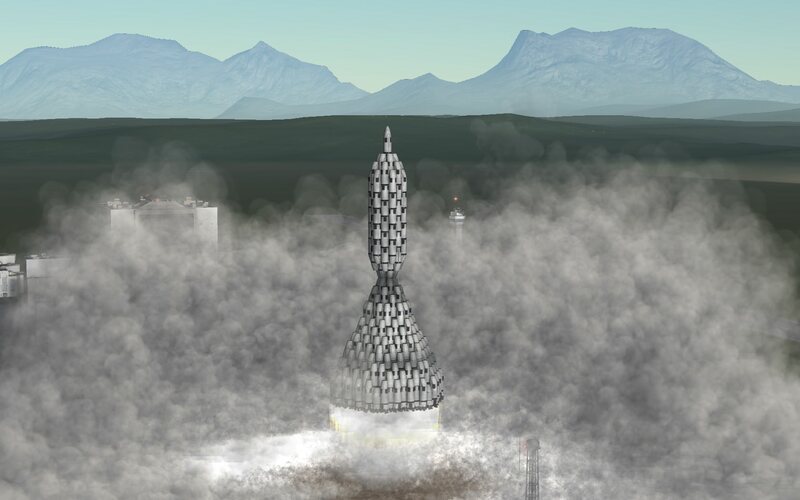 -After the the first stage separation the craft will need to be pointed above prograde to prevent it from falling back to Kerbin. 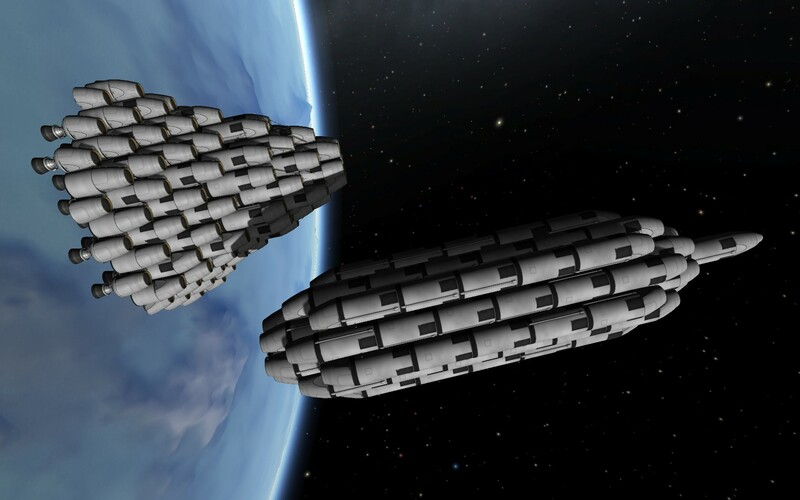 -the craft should run out of fuel after reaching very low orbit, orbits above 71 kilometers are not recommended. Unsurprisingly, there were numerous gargantuan explosions during the building process, glorious, glorious explosions.